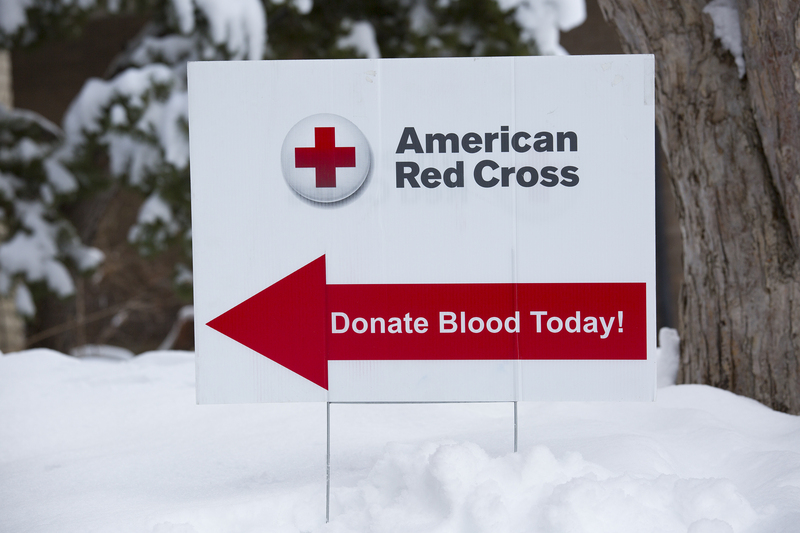 A donation shortfall over the winter holidays is prompting the American Red Cross to issue an emergency call for blood and platelet donors to give now to prevent a blood shortage from continuing throughout winter and affecting patient care. The Red Cross collected more than 27,000 fewer blood and platelet donations the weeks of Christmas and New Year’s than needed to sustain a sufficient blood supply. During this period, about 1,350 fewer blood drives were hosted by volunteer sponsor groups than required to meet patient needs as busy holiday schedules kept many donors away. “We hope people can resolve to save lives now — when there is an emergency need — as well as throughout the year,” added Numark. All eligible donors, especially platelet donors and blood donors with type O blood, are urged to make an appointment to give in the coming days to help restock the shelves for hospital patients. Eligible donors can find a blood or platelet donation opportunity and schedule an appointment to donate by using the free Blood Donor App, visiting RedCrossBlood.org or calling 1-800-RED CROSS (1-800-733-2767). Volunteer blood drive hosts are also critically needed to prevent the shortage from worsening this winter. With several weeks of winter ahead, severe winter weather poses an additional threat to an already low blood supply. 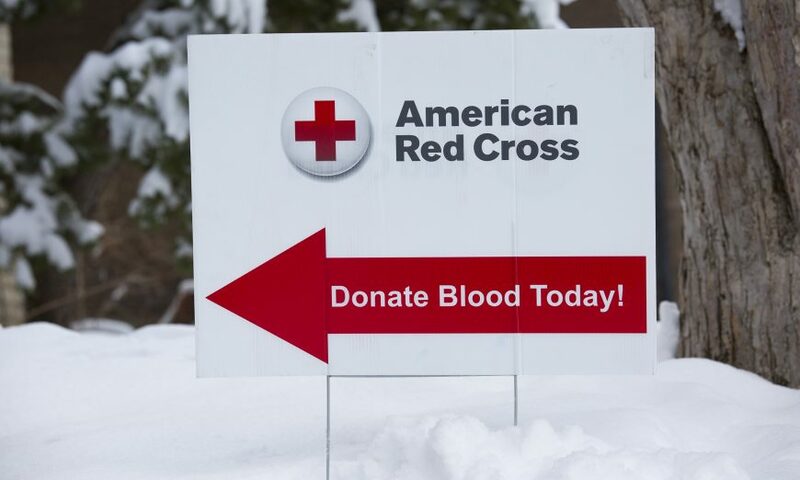 Snow, ice and extreme temperatures last January and February forced hundreds of blood drive cancellations, causing about 23,000 blood and platelet donations to go uncollected. In December, winter weather resulted in nearly twice the number of uncollected blood and platelet donations as December 2017. In May 2018, 4-year-old Branson Gibby was diagnosed with neuroblastoma, a rare type of childhood cancer that affects certain types of nerve tissue after complaining of pain in his arms and legs and running a fever. After many tests, his mother, Erica Austin, was given the news that no mother ever wants to hear — her son had cancer. Gibby’s 18-month treatment plan includes many rounds of grueling chemotherapy, surgery to remove the tumor near his kidney and spinal cord, stem cell transplants, and possibly radiation. He has already endured several lengthy hospital stays and began receiving the first of his stem cell transplants this fall. Blood and platelet donors can save time at their next donation by using RapidPass to complete their pre-donation reading and health history questionnaire online, on the day of their donation, before arriving at the blood drive. To get started, follow the instructions at RedCrossBlood.org/RapidPass or use the Blood Donor App. 1/24: 10 a.m. – 4 p.m., Kaiser Permanente Santa Clara, 710 Lawrence Expwy. 2/2: 8:30 a.m. – 2:30 p.m., Campbell United Methodist Church, 1675 Winchester Blvd. 2/9: 8 a.m. – 2 p.m., South Valley Community Church, 8095 Kelton Dr.
2/14: 12:30 p.m. – 6:30 p.m., LDS Gilroy, 7999 Miller Ave.
1/17: 1 p.m. – 6 p.m., Advent Lutheran Church, 16870 Murphy Ave.
1/14: 7:30 a.m. – 2:30 p.m., San Jose Blood Donation Center, 2731 North First St.
1/15: 11:30 a.m. – 6:30 p.m., San Jose Blood Donation Center, 2731 North First St.
1/16: 12:30 p.m. – 6:30 p.m., San Jose Blood Donation Center, 2731 North First St.
1/17: 11:30 a.m. – 6:30 p.m., San Jose Blood Donation Center, 2731 North First St.
1/18: 7:30 a.m. – 2:30 p.m., San Jose Blood Donation Center, 2731 North First St. 1/19. : 7:30 a.m. – 2:30 p.m., San Jose Blood Donation Center, 2731 North First St.
1/19: 9 a.m. – 3 p.m., New Seasons Market, 5667 Silver Creek Valley Rd. 1/21: 9 a.m. – 2:30 p.m., San Jose Blood Donation Center, 2731 North First St.
1/22: 10 a.m. – 3 p.m., SCVWD Admin Bldg, 5750 Almaden Expwy. 1/22: 11:30 a.m. – 6:30 p.m., San Jose Blood Donation Center, 2731 North First St.
1/23: 12:30 p.m. – 6:30 p.m., San Jose Blood Donation Center, 2731 North First St.
1/24: 11:30 a.m. – 6:30 p.m., San Jose Blood Donation Center, 2731 North First St.
1/25: 7:30 a.m. – 2:30 p.m., San Jose Blood Donation Center, 2731 North First St.
1/26: 7:30 a.m. – 2:30 p.m., San Jose Blood Donation Center, 2731 North First St.
1/28: 7:30 a.m. – 2:30 p.m., San Jose Blood Donation Center, 2731 North First St.
1/29: 11:30 a.m. – 6:30 p.m., San Jose Blood Donation Center, 2731 North First St.
1/30: 12:30 p.m. – 6:30 p.m., San Jose Blood Donation Center, 2731 North First St.
1/31: 11:30 a.m. – 6:30 p.m., San Jose Blood Donation Center, 2731 North First St.
2/1: 7:30 a.m. – 2:30 p.m., San Jose Blood Donation Center, 2731 North First St.
2/2: 7:30 a.m. – 2:30 p.m., San Jose Blood Donation Center, 2731 North First St.
2/4: 7:30 a.m. – 2:30 p.m., San Jose Blood Donation Center, 2731 North First St.
2/5: 11:30 a.m. – 6:30 p.m., San Jose Blood Donation Center, 2731 North First St.
2/6: 12:30 p.m. – 6:30 p.m., San Jose Blood Donation Center, 2731 North First St.
2/7: 11:30 a.m. – 6:30 p.m., San Jose Blood Donation Center, 2731 North First St.
2/8: 7:30 a.m. – 2:30 p.m., San Jose Blood Donation Center, 2731 North First St.
2/9: 7:30 a.m. – 2:30 p.m., San Jose Blood Donation Center, 2731 North First St.
2/11: 7:30 a.m. – 2:30 p.m., San Jose Blood Donation Center, 2731 North First St.
2/12: 11:30 a.m. – 6:30 p.m., San Jose Blood Donation Center, 2731 North First St.
2/13: 12:30 p.m. – 6:30 p.m., San Jose Blood Donation Center, 2731 North First St.
2/14: 11:30 a.m. – 6:30 p.m., San Jose Blood Donation Center, 2731 North First St.
2/15: 7:30 a.m. – 2:30 p.m., San Jose Blood Donation Center, 2731 North First St.